Home / Entertainment / Pusha-T to Drake: "You are silent on all black issues"
Pusha-T to Drake: "You are silent on all black issues"
Pusha-T said Drake's explanation of his blackface photo "does not change my point of view" during an interview with Los Angeles Real 92.3 Thursday, Pitchfork. Pusha-T used the picture as the cover image for his new dissent track "The Story of Adidon". While the trail contains several burns and allegations, Drake felt compelled to respond to the photo that was shot in 2007 for "a project that was going on with young black actors struggling to play roles, stereotyping, and typcasting." 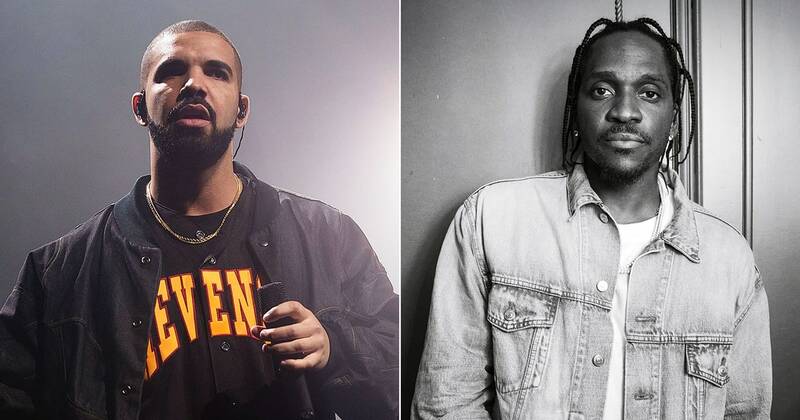 Pusha-T dismissed Drake's response, pointing out his lack of activism when he became one of the greatest artists in the world. "You're silent on all black issues, Drake," Pusha-T said. "You do not stand for nothing, you do not say anything about anything." The rapper added, "You have the whole platform of the world, you were so passionate back then, no, you were not, that's number one, I know that." Pusha-T published "The Story of Adidon" Tuesday in response to Drake's "Duppy Freestyle," a response to Pusha-Ts Daytona track "Infrared." After the track premiered, Pusha-T described the source of the photo Twitter linked to photographer David Leyes' website and wrote, "These are his truths, see for yourself." Photo taken A statement by Drake and Canadian streetwear brand Too Black Guys wearing the "Jim Crow" shirt, Drake in the photo. While the company noted that the photo was not taken during a Too Black Guy's photo shoot, they defended both their clothes and Drake's intent and wrote, "We feel that Drake, a longtime friend of English: German: www.mjfriendship.de/de/index.php?op…39&Itemid=32 The intricacies of Drake, a young black man who mimics how white men imitated and dehumanized black people, may get lost in a rap fight, but we should not be distracted by the mind problems that still affect our communities. "